Opening reception Sep 21: 6-7:30pm. Screening: 7:30pm. $12 | $10 museum members. Purchase online. 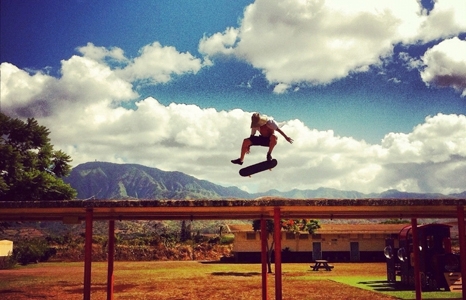 The HI Sk8 Films showcase provides a chance for Hawai‘i’s skateboarding community to inspire, educate and highlight this art form as it intersects with the medium of film. A panel of jurors will select 5 to 10 short films to be screened on Sep 21 and 22. Submission deadline: Aug 15. Selections will be announced on Sep 1. For more information and to submit: hisk8films.tumblr.com. Special thanks to Travis Hancock.